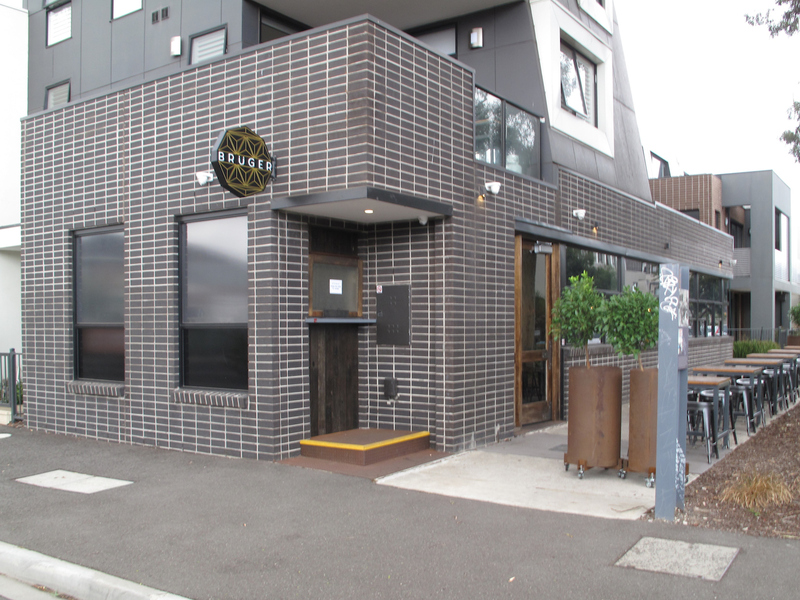 Bruger, 487 Barkly Street, Footscray. Our post-kung fu Saturday routine usually runs along the lines spicy Vietnamese, Indian or African food. 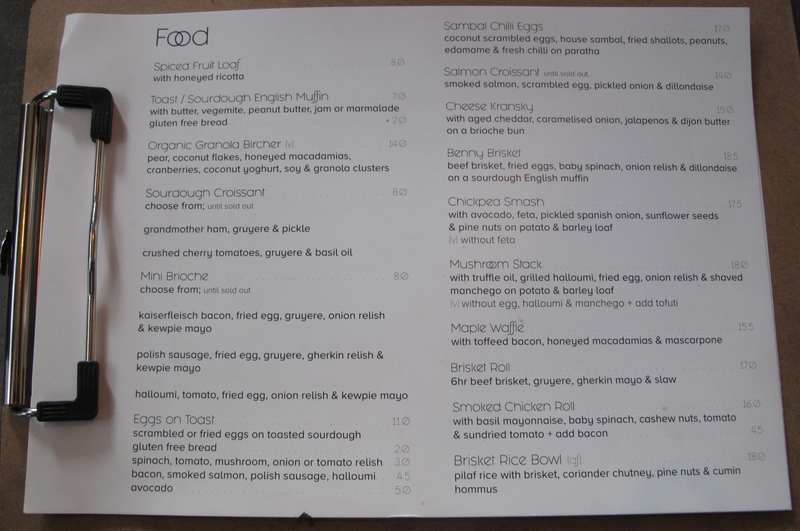 But today we try something a little different – Bruger, which is located just down Barkly from Sims and 504 Receptions. It’s a sister cafe to the nearby West 48 in Essex Street – but it has quite a different feel. The long room is all about high stools and heaps of wood and stone. It’s classy – and perhaps more like a bar than a cafe. We take note of the breakfast options and then ignore them. But the sparks of imagination that show in our lunch meals are in evidence, too, on the breakfast list. Sambal chilli eggs for, example. Or – more hearty – polish sausage with fried egg, gruyere, gherkin relish and kewpie mayo. 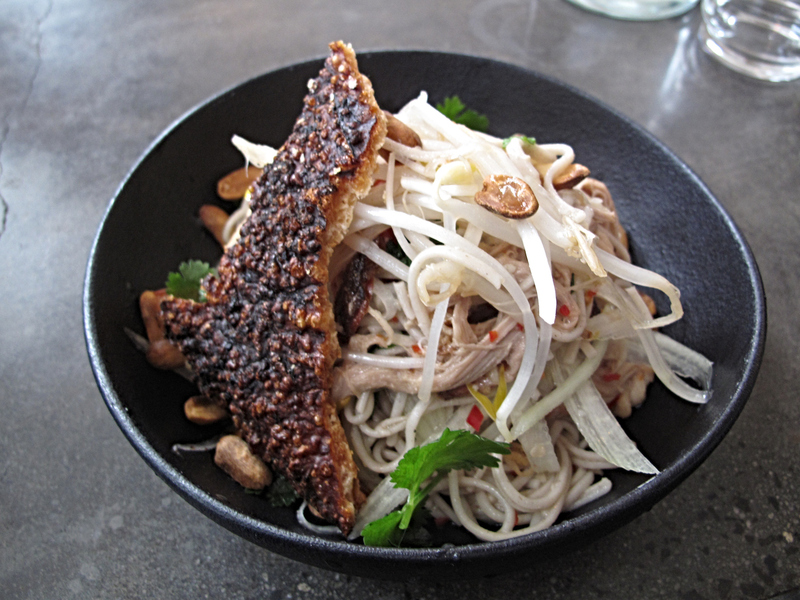 Bennie enjoys his daily special of eight-hour pork belly on a soba and papaya salad with nam jim dressing ($18.50). He makes special mention of the shredded pork – “very soft”, says he. In addition to the listed ingredients, there’s a stack of bean sprouts and peanuts and a nifty slab of crackling. Salad Boy invariably gives papaya salad and related dishes serious consideration when we’re out and about elsewhere, so that’s why he orders this at Bruger. 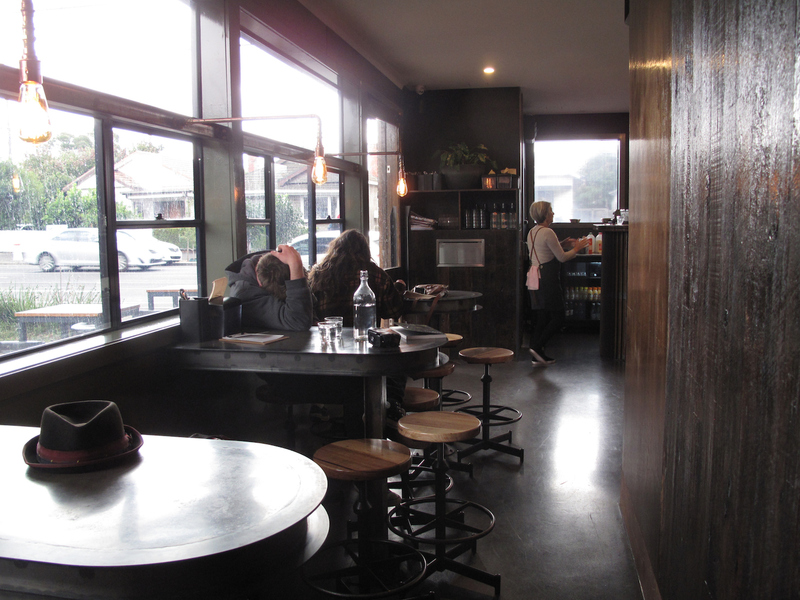 But while it pleases, it’s fair to record that this cafe outing is notably muted in terms of the sort tang, zing, sourness, heat and bite he expects and welcomes at various Thai or Vietnamese places. My brisket rice bowl ($18, top photo) is something of a masterpiece. 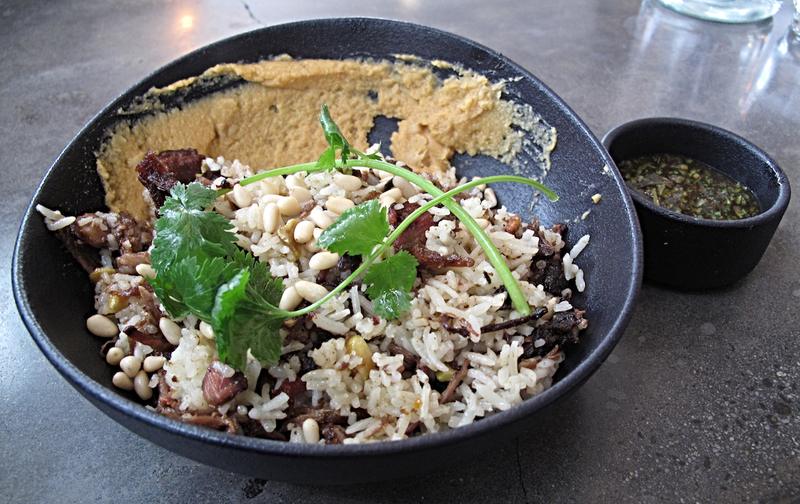 The ingredients – pilaf rice, brisket, coriander chutney, pine nuts and cumin “hommus” – are familiar. Yet here they are teamed in a magical way, the contrasting flavours bouncing off each other with tasty glee. Often, when pine nuts are listed, they end up constituting little more than a garnish. Here they play a plentiful and significant role. The brisket is superb – high on smoky flavour, yet distributed through the rice in small pieces. Want to grab some of that great barbecue vibe without going full carnivore? Right here, with this dish, is your solution. I know there’s those who’ll question the prices. But they’re very fair for food of such good quality and the serves are suitably filling for not-too-heavy lunchtime fare.